When you first pick up the Pixel, it feels great in the hands. It’s not to bulky and not too thin that it’s going to break easily, Google has struck a perfect balance. The entire device is made out durable anodised aluminium and Corning Gorilla Glass 4 on the front and the top half of the back. Technically the device is manufactured by HTC, there is no HTC branding because it’s not really the traditional partnership between Google and OEM like with the Nexus devices. Google has built and designed these phones from the ground up, they had input on every aspect. The Pixel phones come in two sizes, the standard Pixel comes with a 5-inch display with a resolution of 1920×1080 while the Pixel XL comes with a 5.5-inch display with a resolution of 2560×1440 and both devices have AMOLED displays. 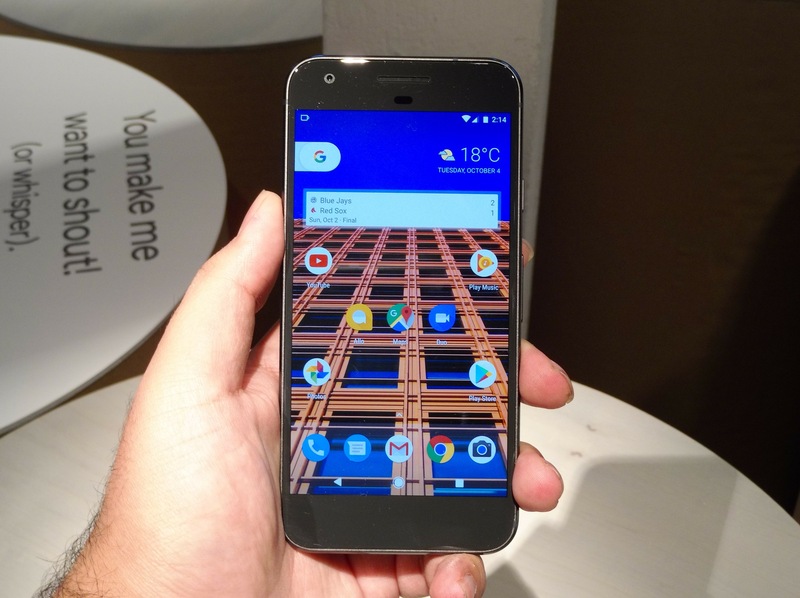 Both the Pixel and Pixel XL are being powered by the Snapdragon 821 processor with 4GB of RAM. Google said there is “no unsightly camera bump” and the camera lens are flushed in the device, to make a smooth back. 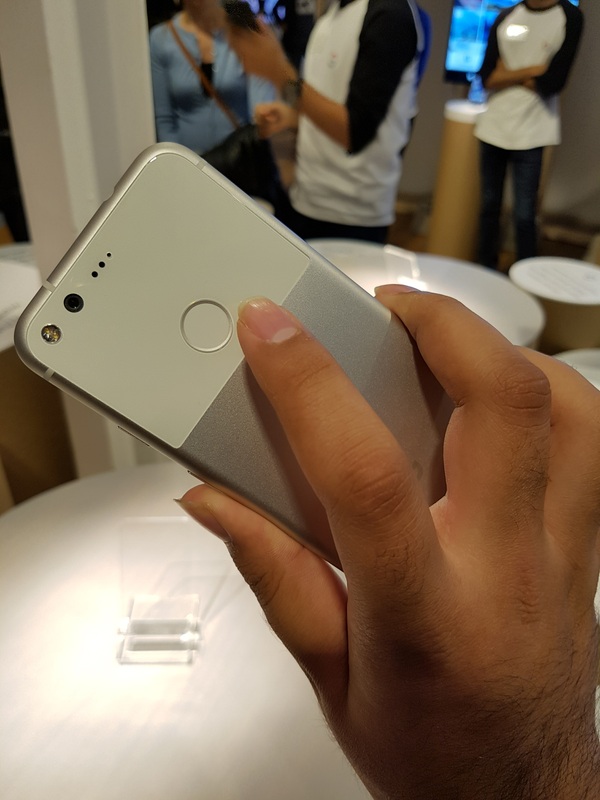 The fingerprint sensor is also on the back of the device, just like on the Nexus 5X and Nexus 6P from last year and Google has called the sensor, Pixel Imprint (instead of Nexus Imprint before). The fingerprint sensor can also be used for some gestures such as, if you were to swipe down on the sensor, it brings down the notification shade/quick settings. When Google would launch a Nexus device, it would come with stock, vanilla Android. This time with the Pixel phones, it’s how Google would have skinned Android. Both phones come with the Google Assistant (which in some respects is replacing Google Now/Now on Tap). 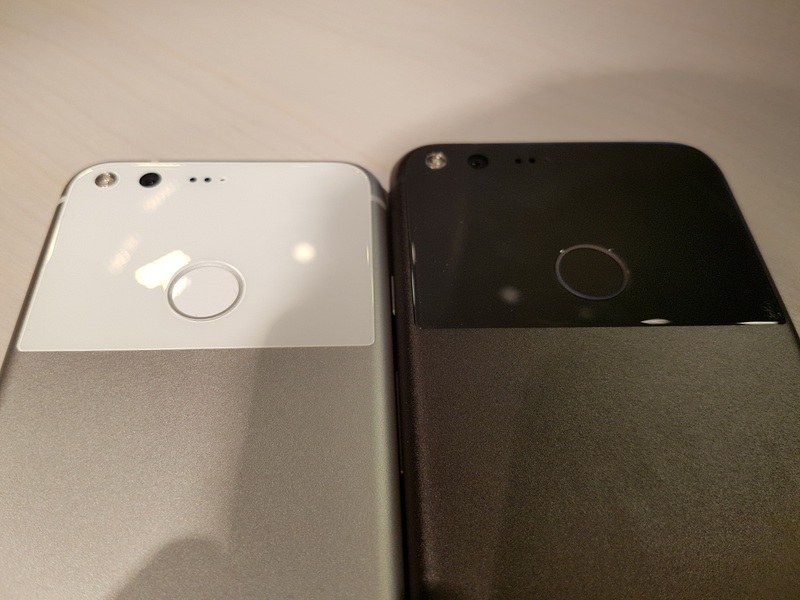 Both Pixel phones have the same 12-megapixel rear-facing camera which DxOMark gave its highest ever mobile score of 89, which beats out the iPhone 7/7 Plus. In my hands-on time using the Pixel’s camera, it performed well and was very fast when launching the camera app and going straight to taking pictures quickly. One thing to point out is that the devices don’t have optical image stabilization (OIS), instead the phone’s gyroscope is hooked up to the camera system to provide smoother images and videos. Google is also including Unlimited Google Photos storage at original quality, so you can store your 4K videos in Google Photos without losing quality. Some other things to note about the phones, is that the standard Pixel has a 2,770 mAh battery while the Pixel XL has a 3,450 mAh battery and both are able to get 7 hours of additional battery life in just 15 minutes. Unlike the iPhone 7/7Plus, there is a 3.5 mm headphone jack and both have USB Type-C ports. 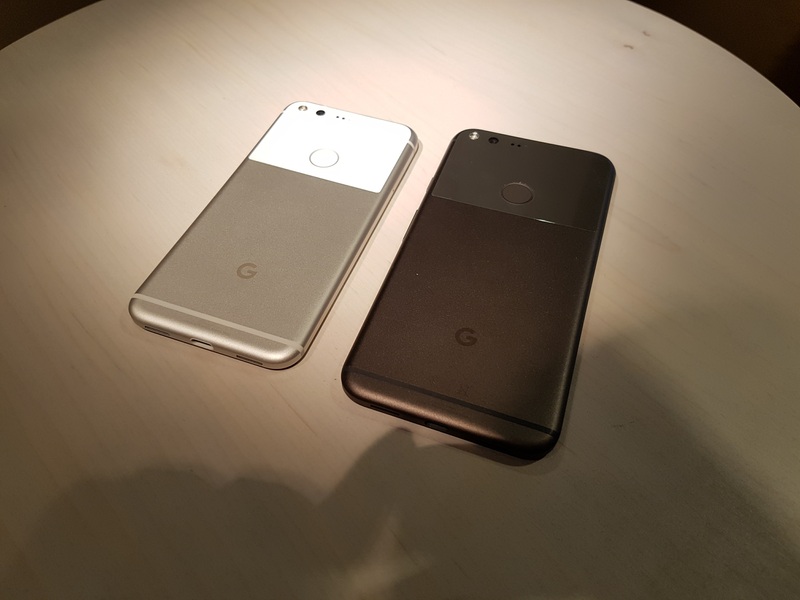 For storage, the Pixel phones will come in either 32GB or 128GB and in two colours, Quite Black (black front/black back) or Very Silver (white front/silver back) and unfortunately, the Really Blue model won’t be available in Canada (as of right now and it’s already out of stock on the US Google Store). 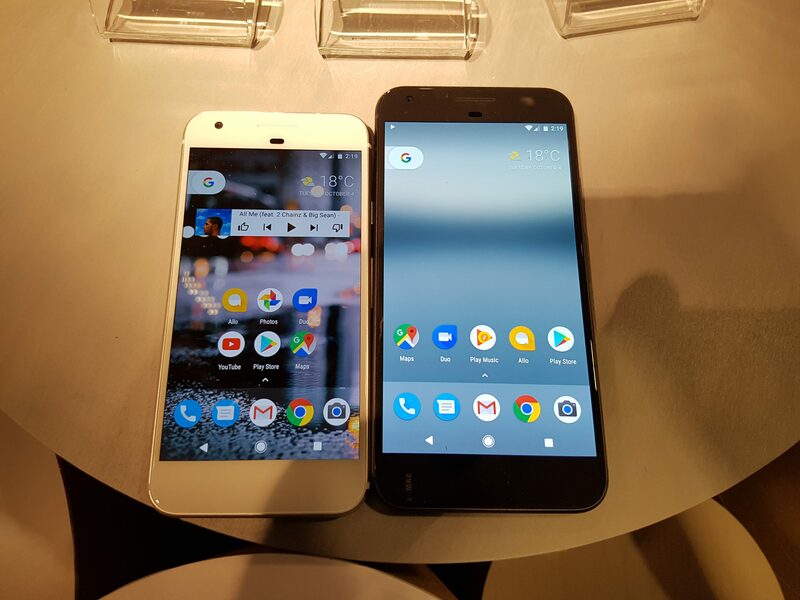 Pre-orders for the Pixel and Pixel XL have already started and both will launch on October 20th. The 32GB Pixel will cost $899, while the 128GB Pixel will cost $1029. 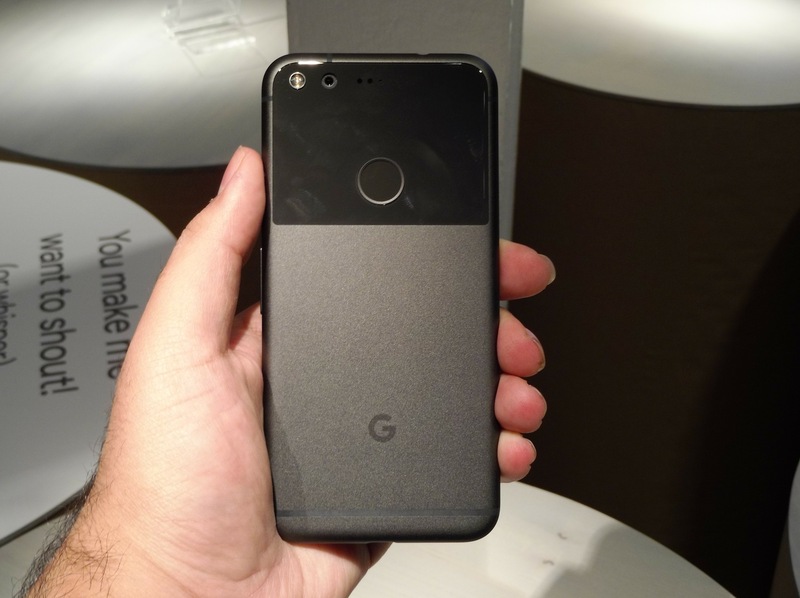 For the 32GB Pixel XL, it will cost $1049 and the 128GB Pixel XL will cost $1179 and both devices are eligible for Google’s Device Protection (formerly known as Nexus Protect) for $129 and it gives you an additional year of coverage for mechanical breakdown and 2 years of protection against accidental damage. 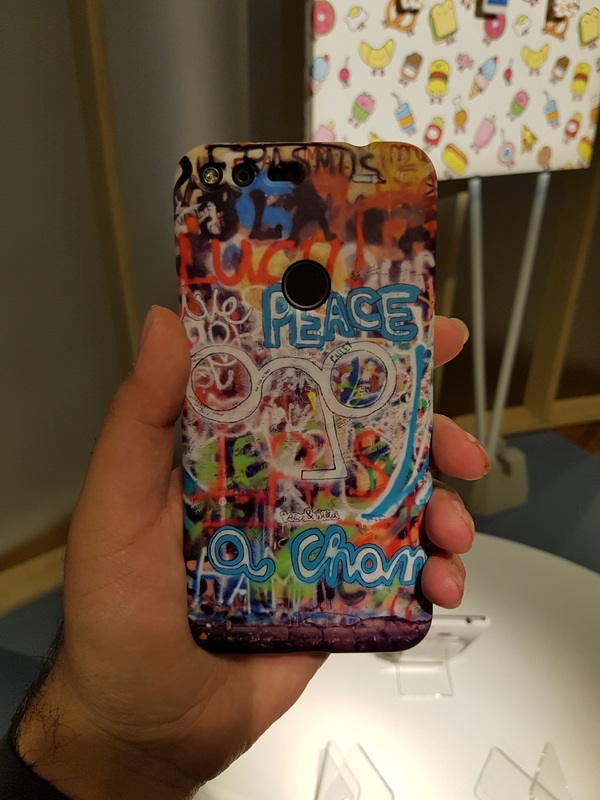 Google is also selling their custom live cases for the Pixel phones for $50 and there’s other colourful silicone cases for $45 and should launch alongside the devices. And stay tuned in the next few weeks of the Pixel phones as well as Google’s other newly announced hardware products.